Fruits and vegetables come in a variety of colors. Through many years of scientific research, it has been determined and understood that naturally occurring food colors indicate the types of phytochemicals (phyto, Greek – plant) and nutrients they contain. These phytochemicals have many properties to promote good health and overall well-being . Anthocyanins are a class of phytochemicals that provide the distinctive red, blue, and purple coloration in many berries, other fruits, vegetables, and flowers. Blueberries are one of the berry species that gets its distinctive deep violet / bluish color from anthocyanins . There are about 400 known anthocyanin pigments including, etunidin, peonidin, rosinidin, and cyanidin. Blueberries, blackberries, black and red raspberries, black and red currants, red grapes and red wines contain dozens of different anthocyanins per fruit. Because of this, berries are considered an elite category of fruit . Anthocyanins are well-known and documented polyphenolic (antioxidant) compounds , which have many health benefits, such as preventing free radicals from forming. Free radicals destroy cells and hasten the aging process . Blueberries are one of the “super foods” that has been getting a lot of attention from health professionals, scientists, and the media. Medical professionals encourage everyone to eat a colorful diet, rather than beige, brown, and white foods-only diet. Despite all the research and data presented to the world to illustrate that a colorful diet promotes good overall health and well-being, many people in developed nations continue to choose the meat and potatoes only food options. These foods are not necessarily bad or unhealthy when consumed in moderation. But, a full color spectrum diet, which includes foods high in anthocyanins is a much better choice for promoting good health . In 2007, the 2nd International Symposium on Berry Health Benefits was held at Oregon State University. Health professionals and scientists from all over the world promoted the benefits of a colorful diet, which includes blueberries. Each of the presenters discussed new discoveries about berry nutrients, particularly anthocyanins . 4) The McGhie study differed, however, from research by R. Prior et al. 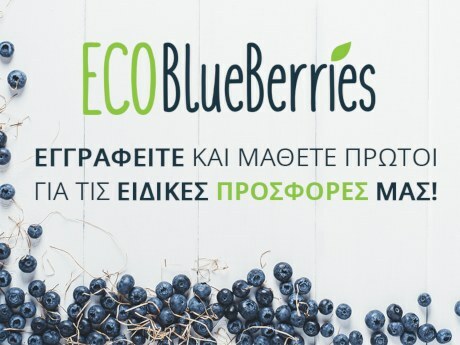 (USDA-ARS Arkansas) who showed recently that consumption of blueberries or red grapes increased plasma anthocyanin content and antioxidant capacity on human subjects . Anthocyanin-rich plant foods contain up to several hundred mgs of active anthocyanin compounds per each 100 g serving. Unfortunately, most of these compounds are degraded in the digestive tract within hours of consuming a meal . Compounding the problem of measuring anthocyanins in vivo is that these chemicals are stable in an acidic environment (pH 3.5), but destabilize, degrade or bind together (called polymerization) as pH rises in the blood (pH 7.4) . In order to overcome the normal degradation of anthocyanins in the body, a regular daily intake of naturally-colored red, blue, and purple fruits and vegetables may be required and should be considered. Many foods containing anthocyanins, including blueberries, have a relatively short fresh-market shelf-life and spoil rather quickly. Mass-market food processing methods include, cooking or freezing and packaging blueberries and other foods to extend their shelf-life and increase their availability. Processing allows many foods to be available throughout the year and around the world. L. Howard and colleagues at the University of Arkansas, United States Department of Agriculture – Agricultural Research Service (USDA – ARS), discovered that freezing berries followed by frozen storage preserves anthocyanins most effectively, whereas major anthocyanin losses occur from heat processing needed to make juices or pasteurization of purees and canned products . During heating, anthocyanins bind together, making polymers that actually enhance the richness of colors, but lower individual anthocyanin contents, even though total antioxidant strength is maintained . Howard showed that the presscake (residual pomace after juicing), often discussed as a valuable but undeveloped biomaterial for functional foods and nutraceuticals, retained appreciable anthocyanin levels . This particular USDA – ARS study indicates that whether blueberries are consumed as fresh-market, cooked, frozen, or juice products, the antioxidant benefits remain consistent and available for human metabolic processes.